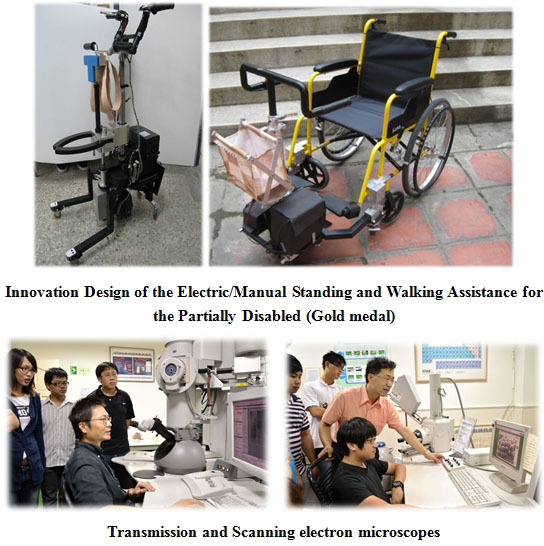 The Department of Mechanical Engineering was accredited by The Taiwan Assessment and Evaluation Association in 2005 and 2009, respectively, and was rated Class One (the highest rating attainable) in both accreditations. Our department was also accredited by The Institute of Engineering Education Taiwan (IEET), the Taiwanese counterpart of ABET of the United States. IEET is also a Signatory of the Washington Accord. ME department emphasizes hands-on experiences and collaborations with the industry in addition to the conventional classroom learning. Constant reflections on the research contents and their meaning in terms of values of innovation, contributions to the industry and impacts to human serve as a main theme of our graduate programs. At present, the Department of Mechanical Engineering at STUST features two English taught programs for Master’s and Ph.D. degrees respectively. These two programs were both rated as “Highly Recommended” by an accreditation performed by Higher Education Evaluation and Accreditation Council of Taiwan on behalf of the Ministry of Education of Taiwan in 2011. Our international graduate students actively participate in our funded research projects with great performances.